Prepared on behalf of The Basingstoke Canal Society, the brief was to produce an initial public consultation document on the proposals for a new narrowboat basin on the Basingstoke Canal. Johns Associates designed and prepared presentation material for a public consultation event. Following the successful restoration of the Basingstoke Canal in 1991 there have been limited opportunities to base a boat on the canal, and no additional moorings have been provided for over 20 years. Proposals for a new mooring basin on the Basingstoke canal therefore aim to fulfil this need for additional recreational moorings, with the creation of approximately 25 new berths. 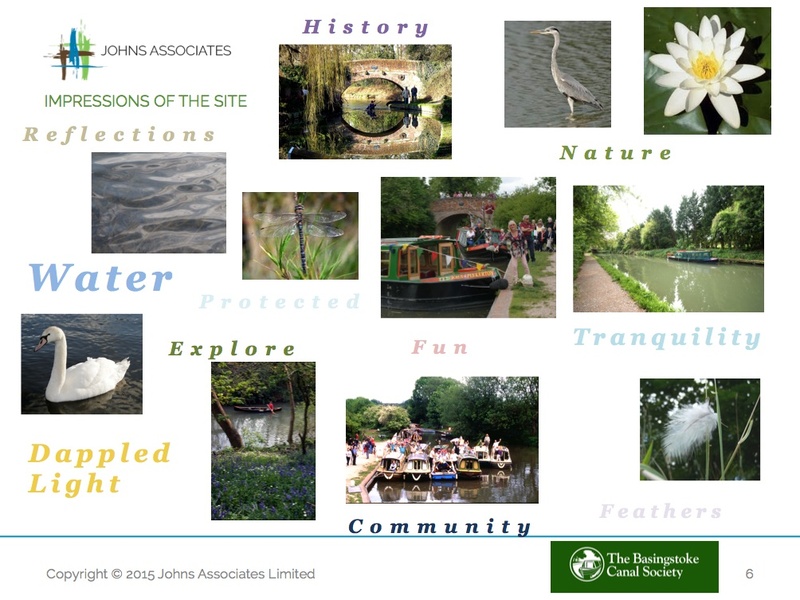 Based on initial proposals for the development of the basin drawn up by The Basingstoke Canal Society, Johns Associates illustrated an extension to the scope, which included enhanced visitor facilities (such as a new canal visitor centre, car parking provision, pedestrian footbridge, picnic area, fitness and outdoor educational resource trails), and habitat creation. Utilisation of and improvements to existing pedestrian links and trails to the nearby public open space, designated as a Site of Special Scientific Interest (SSSI) were also illustrated. The final documents were presented to the Basingstoke Canal Society for use at a public consultation event to gauge public support and to gather additional suggestions prior to the development of detailed plans for submission to the local planning authority. Following a successful consultation exercise, further meetings are on-going between Johns Associates, The Basingstoke Canal Society and Hart District Council.